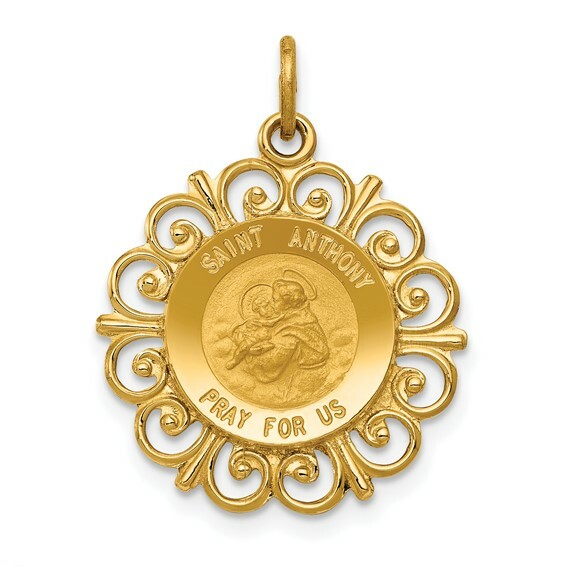 14k yellow gold Saint Anthony medal has a fancy scroll border. Item measures 3/4 inch without loop and bail. Weight: 1.6 grams. Fits up to a 3mm wide chain. Made in USA.